Do you remember the childhood parable of the hen that laid golden eggs every morning? To refresh your memory, a poor man in a village suddenly comes upon a hen. When he is about to kill it for food, the hen squawks out the secret that it is a superpower hen which gave a golden egg every morning. The farmer decided to try it out for himself. To his delight, the hen was stating a fact and he was able to sell a golden egg every day. Gradually, he became very rich and simultaneously greedy. He killed the hen with the hope of getting all the golden eggs in one go. We all know that then was the end of the golden egg bonanza for him. When I heard that story as a kid, two things came to my mind. One, such hens are a myth. Two, if I got such a hen, I wouldn’t kill it but instead nurture it in the hope of bigger and healthier eggs (maybe the 18-carat gold would turn to 24-carat). Turns out, today such a hen does exist in the name of Passive Income. However, unlike the story, we can’t really find it randomly walking under our nose. Off late, as a part of the Personal Finance blogosphere community is where I have really understood the concept and importance of turning this equation on its’ head. 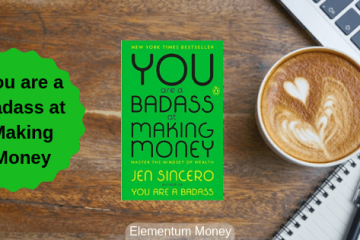 What if you could invest time, effort and money up front and receive gradual payment for it with no direct relationship between the work and the money pouring in? That, in a nutshell, is the idea behind Passive Income. It means you no longer need to trade your time for money. Come to think of it, the equation between time and money is not direct in corporate life either. But, in that, it is negatively balanced, as the money remains constant irrespective of the time put in. Passive Income, on the other hand, requires more money or effort or time up front and with minor tweaks keeps generating good money. Some of the examples, later in the post will make the idea of Passive Income much clearer. We talked about financial independence last week. There are two routes to achieving it – a large portfolio where the interest or returns cover your essential living expenses. The second route is Passive Income. If you create enough sources for it, then without constant intervention, you would be generating enough income for your living expenses. Right now, the main reason we all slog at our jobs, trying to please our bosses and the powers that be is the need to earn money. With Passive Income making up for some part of the regular expenses, you can choose to work flexibly on things that you deem important or those that you are passionate about. Today, even in India, layoffs are not unheard of. While not pleasant, with enough Passive Income, the idea of an impending layoff could become less of a nightmare. You would know that you anyway have income generating avenues and can take your time finding the next job. Stocks and Mutual Funds (Dividend option) both come with the provision of Passive Income built in. What you need to build up this source of Passive Income is invest money as well as some time to understand the method best suited for you to pick stocks or mutual funds. Do not, I repeat, do not, get into investing blindly. As a starting point, you can always start from the product guides of stocks and mutual funds on this site. Do note, this is the easiest way to start building Passive Income, considering pretty low money, time or skill investment. Start low, learn the ropes and keep growing at it. For a long time, real estate has been one of the favorite modes of investment for Indians. The main reason is that it is also a pretty solid source of Passive Income. However, this one is pretty much a double-edged sword. You will often need to take a Home Loan for it at high rates of interest. In most Indian cities, the rent does not even cover the monthly installment (if the loan has been taken for 80% of the house value). So, evaluate this option carefully before diving into it. 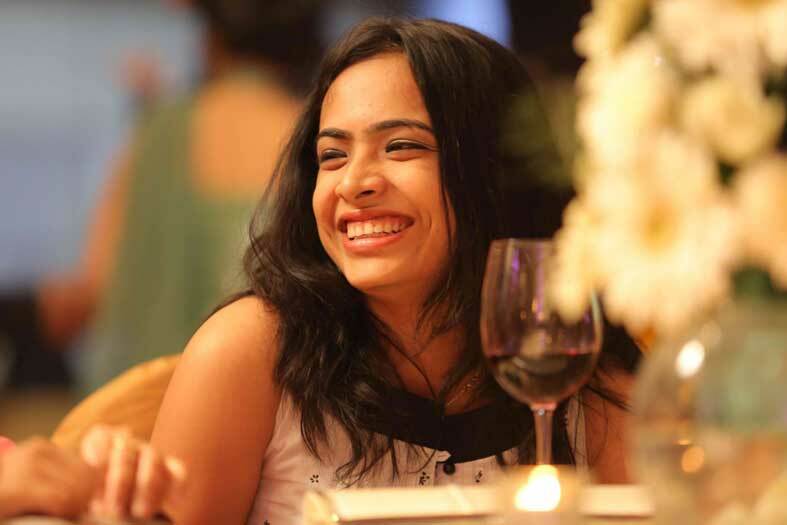 One of my favorite bloggers who details out how she has made rental income her money mainstay is Paula Pant of Afford Anything. Check her out and the detailed number-filled posts of her real estate and rental income experiences. Ever wondered why most celebrities are pretty rich? A lot of them are recipients of royalty. Best-selling author? Check. Musician? Check. Film Producer? Check. Royalty is an intellectual property right that is a viable source of Passive Income that you can look at if you believe in your creativity and the possibility of duplicating your output without incremental effort. So, as an artist, if every painting is a labor of love for multiple hours, then it might never become Passive. However, when you record a song with a music label, and they sell it, you receive a percentage of the selling price as your royalty. Today affiliate marketing is a huge field in the online space. Product owners pay a small commission to well-performing publishers or bloggers for sales that happen when they spread the word through their page. The product owner gives a unique link to the publisher who puts it at the back end, so that when you click on the product name, and if you end up buying, the publisher earns a small commission. The commission can look small for an individual sale. If you want to see the heights to which this source of Passive Income can reach, check out how Michelle Schroeder-Gardner earned $187,785 in ONE MONTH of March 2018 through Affiliate Marketing alone. Online advertising is one of the oldest ways that high-traffic websites used to earn money. Today, since almost anyone can generate traffic on their website, with enough commitment to it, online advertising can be Passive Income for just about anyone. However, the money generated is less and you need to generate quite a bit of traffic for it to just be profitable. Also, keep in mind that it is often a distracting presence interfering with the customer experience. If you know more about something than maybe 5 people around you, today you could very well be teaching that to people for a cost. You no longer even need to have your own platform for this Passive Income. E-books can be self-published and sold on Amazon. There are more than enough platforms for online courses like Udemy and Skillshare, where if your course is good they will really lap it up. If you think, an online course is your thing, you must check out the most inspiring guru for online courses – Ramit Sethi and his Growth Lab. If you are a software engineer by passion, then research, experiment and make an app that people will find useful. Granted, in India most people, including me, do not like paying for apps. But, if your app is universal enough, you could very well be generating Passive Income across the world. Unlike the hen laying golden eggs, you will not end up finding Passive Income strolling across your path. You will need to invest either money or time and effort to build up your Passive Income generator. Even after the initial fix, it requires regular nurturing. For instance, you would need to hunt for tenants and get maintenance jobs done for a continual stream of rental income. Similarly, you would need to generate online traffic and a dedicated audience day after day to earn affiliate income. 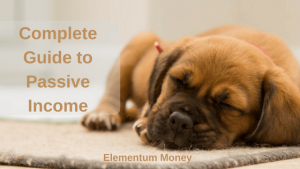 If Passive Income is your ticket to Financial Independence, you need to ensure a large enough consistent stream to ensure your living expenses are met every month. 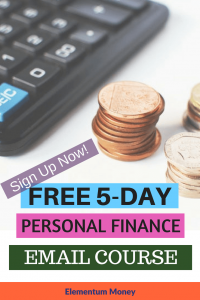 While the math using the portfolio method is more predictable (you can download the Financial Independence Calculator here), it can get a little uncertain with Passive Income alone. Like compound interest, for most things Passive Income builds over time, especially where the input is more in the currency of time and effort. So whether we are talking affiliate income or Apps, gradually you can see bigger golden eggs. Most sources of Passive Income are pretty volatile – some months it might skyrocket and some months it could even be a dud. Even when you consider something more stable like rental income, there could be vacant months between tenants. Even golden eggs can be fragile and putting them in one basket is risky. Like they say with any investment, diversify is a rule for Passive Income too. You must not depend on just one. If you already have a good equity portfolio, see if you can afford a small rental nearby. If you have a skill, read up and figure how can you market it and generate income? Great post that talks straight to the point. Most of the people consider passive income and side income as the same. Well they can be same, but passive income (beyond a point) has little co-relation to the time invested whereas that may or may not be true for side income.